Wonder what it feels like to get a slug named after you. 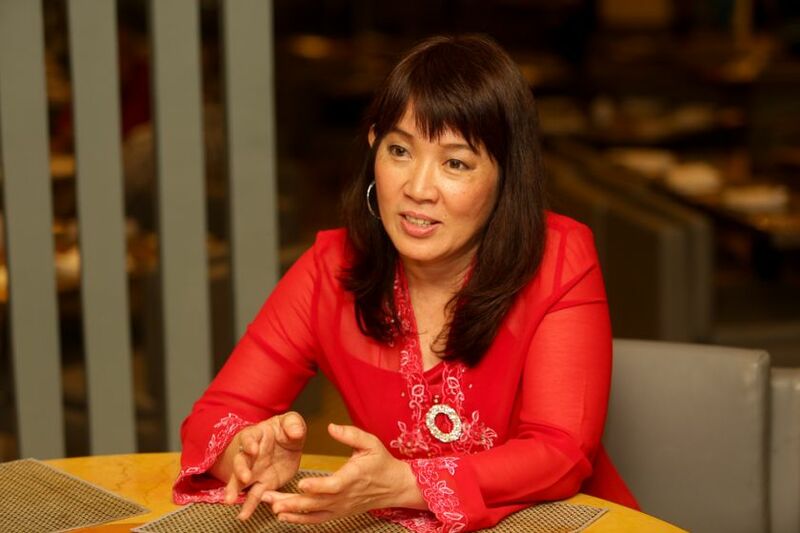 If there are any outstanding Malaysians you ought to know, well, this amazing marine biologist is one of them. 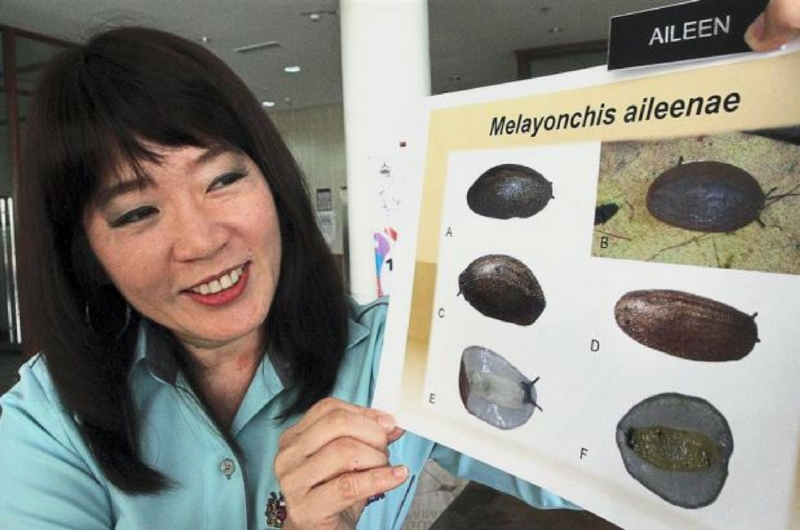 Professor Datuk Dr. Aileen Tan from Universiti Sains Malaysia (USM) has been given one of the best scientific honours after a new species of mangrove swamp slug was named after her. The Melayonchis aileenae belongs to a species of air-breathing sea and land slugs and is also part of the snail family, although it doesn't have a shell. It was one of the new species of four slugs discovered. It can be found only at certain mangrove sites and is a very rare species, measuring up to 2cm long and 1.5cm in width. The slugs can be found on trunks and roots of mangrove trees, dead logs, and also occasionally on cemented walls at the margin of mangrove. And did you know that Professor Aileen has been doing extensive research on mollusc (slugs) for the past 29 years? Amazing, right? She dedicated almost three decades of her life learning about this species. “Getting a species of it (mollusc) named after me is really a big honour,” she told The Star in an interview. She credited the honour to her team, mentors, and students. The four new species was first discovered by American scientist Benoit Dayrat during their research at the mangrove swamp in Matang, Perak. The scientist then dedicated one of it to Professor Aileen as a token of appreciation for her extensive help during the field work. She was also given the opportunity to become the first woman president of the Unitas Malacologica Society. We’re really happy and proud of this news. Thanks for putting us on the map and on the scientific field once again, Professor Aileen. Pastikan Kemenangan Tahun Ini Milik Malaysia! 'The Voice Singapore-Malaysia' Is Finally Here But Why Is Everyone So Mad About It?